Scooper - Technology News: Who is buying US Treasury bonds? Who is buying US Treasury bonds? Between 1913 (when the United States Federal Reserve was founded) and the latter part of the 1980s, it would be fair to say that the Fed was the only game in town when it came to purchases of US Treasury securities by central banks. 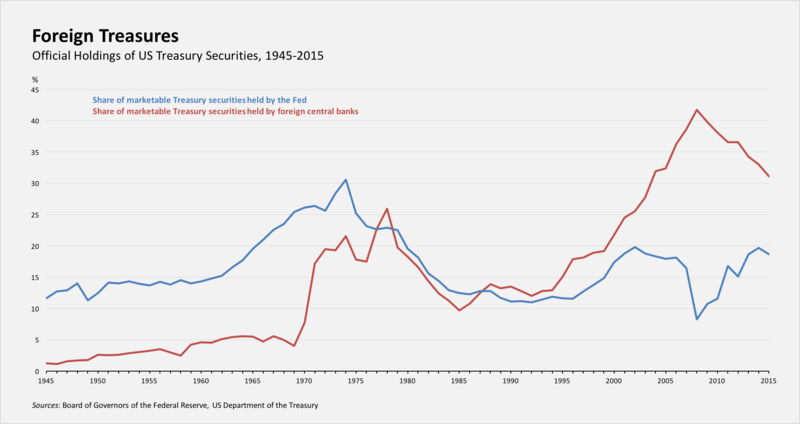 During that era, the Fed owned anywhere between 12% and 30% of US marketable Treasury securities outstanding (see figure), with the post-World War II peak coming as the Fed tried to prop up the sagging US economy following the first spike in oil prices in 1973.